This is going to be a bit of a different Triumph or Tacky? post since I haven’t actually worn the shoes from my last challenge but I do have some very good reasons for not wearing them yet. Even when I was purchasing the black ballet flats for the weeks 23-24 Challenge I still wasn’t completely sold on them. It wasn’t that they weren’t nice, or practical or comfortable even, it’s more that they weren’t exactly what I had in mind when I started my search. Since I still wasn’t convinced that they were my “practical Paris shoes” I decided to keep looking for shoes on Sunday. 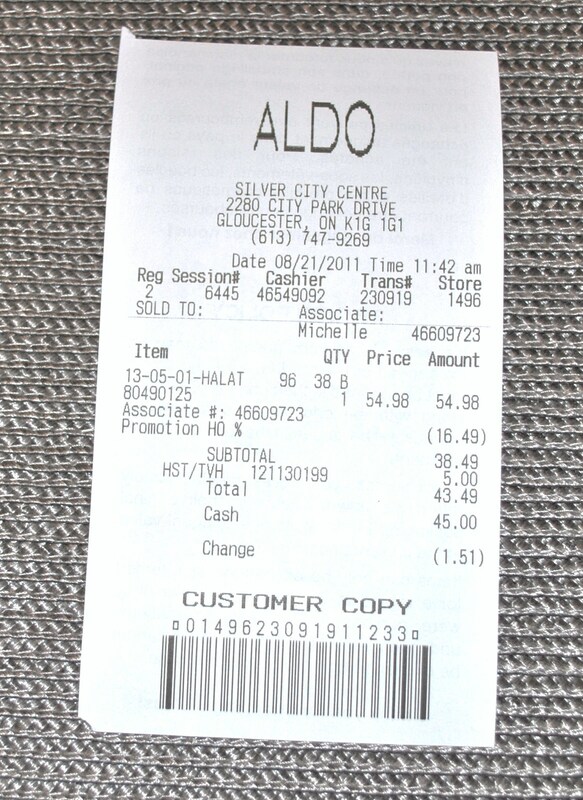 Aldo was having a bunch of sales (duh outlet store!) and all boots were 30% off. I just happened to notice an array of short motorcycle boots on a shelf (you may recall my debate on this style of shoe in my last post) . My friend and I actually found three styles that we liked but unfortunately they only had one style in my size. Fortunately, they were really cute! 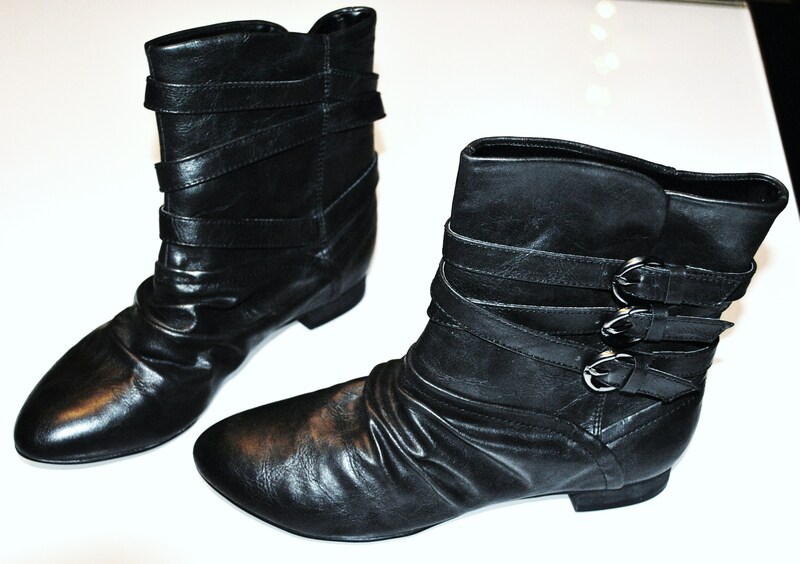 My initial reservation about this style of boot was that it might make my legs look even shorter and thicker than they already are but I actually think that these work and my friend assured me that they do (pics may follow in the next Triumph or Tacky? post). We both thought that they would look great with a skirt or dress, I have yet to test this theory though. Overall though I really liked them…enough to buy them! Now here’s the catch (well two catches actually! ): first, they were 30% off but after taxes they came to $43.49 which is over my $40 budget. 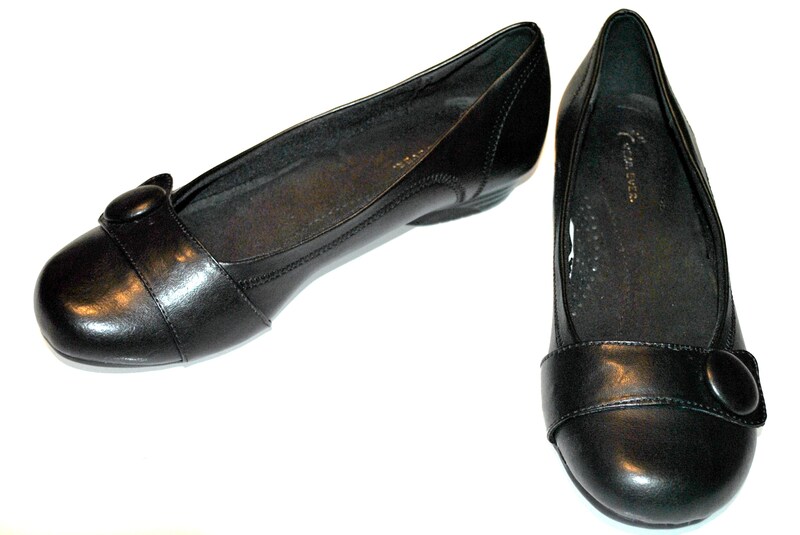 In my defence I will point out that they are real leather as opposed to the black flats. Second, I have decided that I will leave the decision as to whether I keep them up to you since reactions were quite mixed on the black ballet flats. Are you waffling on the flats because you’re not sure if you like them simply as flats, or because you’re not totally sure if they’re what you were looking for when you set the challenge? If you LIKE them, and think you’ll wear them, but they just don’t quite fit the challenge, I’d say keep them both. However, if you don’t like them much, return them! If it’s the first option, and you keep them both, you could pack the flats, and wear the boots on the plane! Then you’d have more footwear options when you get there! 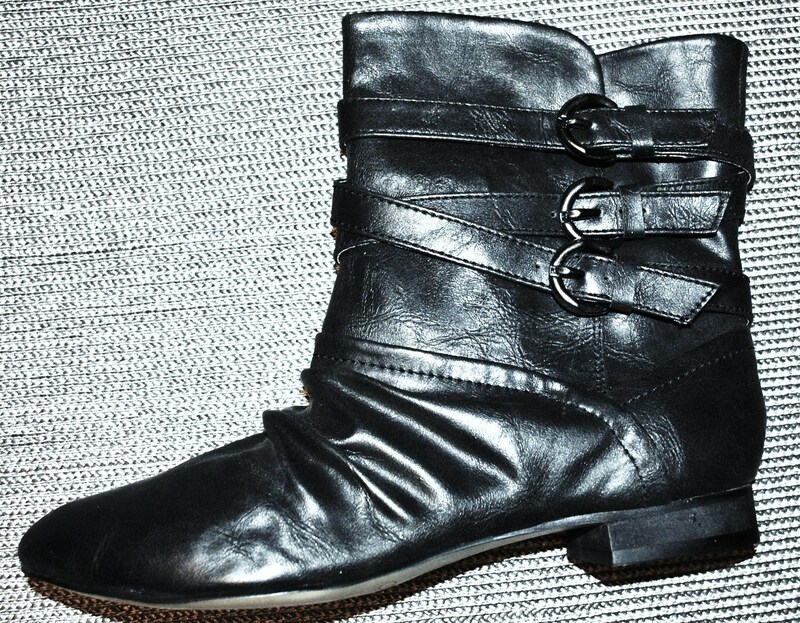 The boots, I think, would look really cute with skinny jeans, a simple top, and a scarf. Maybe with an edgy bag? I like your ideas about wearing the boots on the plane though and also pairing them with skinny jeans…now I just need to find a new pair of skinny jeans lol! Oh, aldo’s good that way. 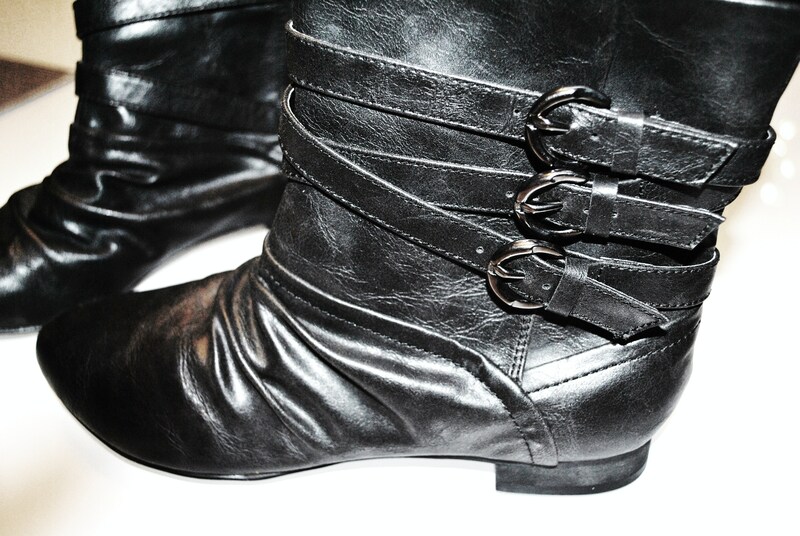 If they say they’re leather on the boots, they are. Aldo is getting more leather stuff these days! Maybe skinny jeans could be a challenge? Ha ha! I don’t know how tall you are, but I’ve found great, long skinny jeans at sirens that were really inexpensive but well made. Again I think that we’re on the same page, lol! I’ll definitely have to check out Sirens, the jeans may be too long for my legs but it doesn’t hurt to check them out. Thanks for the suggestion!